Scotland is like a nation within a nation. It retains its own unique identity, has its own parliament and its own laws. So it’s not surprising that it looks and feels different to its more populous neighbour, England, to the south. Familiar enough to be comfortable; but distinctive. You’ll find the same chain stores in the bigger places and the same cars on the streets, so it’s similar enough in some ways; but it’s unquestionably not England – and you will offend people if you confuse the two. For a start, apart from glass/steel office blocks, universal in larger towns the world over, the building style is often very distinctly Scottish. It even sounds different: take place-names, for example: Ecclefechan (famous for its tarts) sounds like jolly good throat-clear and Trossachs (famous for Loch Lomond and its National Park) could be a violent sneeze. There are Scottish flags flying everywhere, just to remind people where they are, and little ones stuck on produce in supermarkets, to remind people to buy Scottish milk, Scottish bread etc. If parts of Scotland seem bigger than anywhere else in Britain it might be because most of it is pretty empty. Scotland accounts for 30% of the UK’s land mass but less than 10% of the population live there (5.25 million compared with England’s 52.1 million) and about 80% of resident Scots live in urban areas. You’ll find wilderness in Scotland, and topographical features on a grand scale. The Highlands, glacially carved especially for you, sometimes appear to be infinite, and often brooding; even the Lowlands (and the term is a relative one, because in places they don’t look that low to me) can be impressive. Then there’s the coast; Scotland has a breathtaking 6,000 mile coastline, with about 800 islands snuggled down next to it. You could easily find you have a world-class beach all to yourself. Though good weather can be in short supply, and you may want to take something to ward off the midges, when the sun shines Scotland can be spectacular, with a ‘wow factor’ in most directions. Scottish towns can appear drab and austere – like those in the far north of England. Hard weather possibly forces architectural functionality – but if Scotland doesn’t often do ‘pretty’ it frequently does ‘impressive’ – there are some imposing public buildings and magnificent castles with fairytale-like towers. Lurking behind the ubiquitous gift-shop kitsch of sporran shaped mouse mats, bagpipe fridge magnets and pottery models of ‘Nessie’ (the elusive Loch Ness Monster), is Scotland’s unique culture. Myths and legends abound. The Scots of course invented golf, ceilidhs, haggis and, far more importantly, malt whisky – to mention but two of their contributions to civilisation. Actually, the place has produced a disproportionately large number of inventors, scientists, industrialists, writers, musicians and other luminaries – including the founder of the Bank of England, William Paterson. Scotland doesn’t rely on English bank notes – it prints its own (much to the consternation of a few poor souls south of the border). 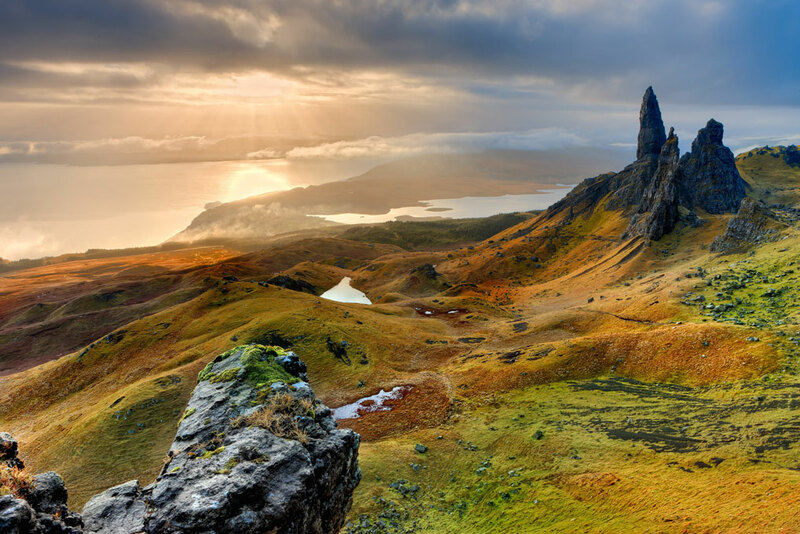 Like the rest of Britain, a turbulent past lurks not far beneath the surface – see ‘How Scotland was born’ for a bit about this – and there are innumerable heritage sites to visit. Guidebooks often divide Scotland into the Lowlands and the Highlands. The Lowlands, closer to the English border, are more accessible and populous. The central belt of industrialised Scotland, between the Firth of Clyde in the west and the Firth of Forth in the east, is where most of the main towns and cities are located, including Glasgow (Scotland’s largest city) and Edinburgh (Scotland’s capital). One guidebook says that the central belt is “scarred yet displaying an awesome beauty.” Hmmm. Hyperbole aside, central Edinburgh really is a beautiful, fantastic, international, buzzy city (especially at festival time) and Glasgow offers, in my experience, not only arguably the best shopping centre in the UK but also some stunning Victorian buildings, great restaurants and world-class museums – though it is also unfortunately one of the dirtiest cities I’ve ever visited, and with some of the worst roads, as well. Never mind; the distinct, dry, Glaswegian sense of humour more than makes up for it. Both cities offer innumerable cultural attractions. And there’s an excellent motorway network in these parts. Dundee and Perth are less than 2 hours from Edinburgh. Aberdeen, the only major city far from the central belt, is about a 3 hour drive from the capital. Because Scotland seems to bunch most of its urban areas altogether, there is plenty of open countryside, including moors and mountains, in the Lowlands, south of the central belt. Here you can also explore charming border towns, ruined abbeys and castles (some ruined, some not). Beyond the central belt to the north lies another world, of lochs, mountains and eagles – the closest Britain gets to backwoods country, where pleasure often needs to be of the outdoor variety. 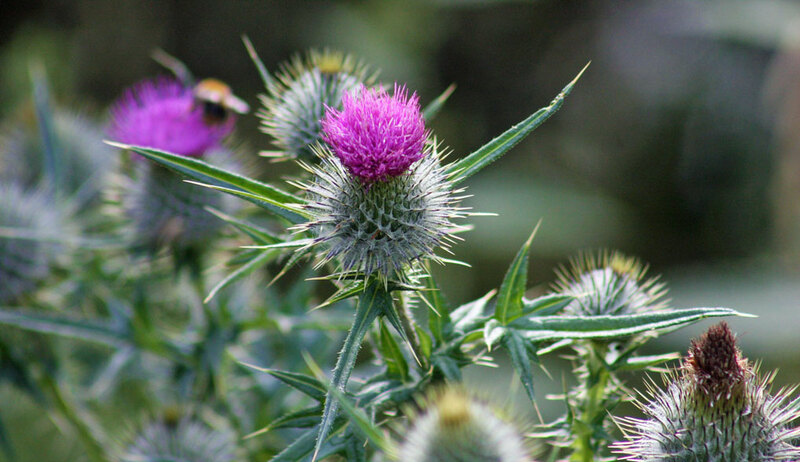 Many of the cultural hallmarks for which Scotland is best known – tartans, bagpipes, the clan system – originated in the Highlands. And it is mostly here that, Gaelic, a Celtic language derived from old Irish, survives; it is spoken by about 60,000 people. Getting to Scotland is relatively easy; unless you fly there direct or arrive by ferry from Ireland or Scandinavia, just head north from England. Probably the best route is up the west on the M6 then onto the M74. The east coast alternative along the A1 is attractive, but slower. Beyond the motorways of the central belt, driving can be much more leisurely – particularly in the Highlands where mountains need to be negotiated, even ‘A’ roads can be single track and, in winter, when road closures are a risk. Bear in mind that driving from the Scottish border to the far north will take you the best part of a day. There are excellent rail services to Glasgow, Stirling, Perth, Inverness, Edinburgh, Dundee and Aberdeen. Local services run to Wick and Thurso in the far north from Inverness, as well as to Ullapool and the Kyle of Lochalsh in the north west. Local services also run to Oban, Fort William and Mallaig from Glasgow. 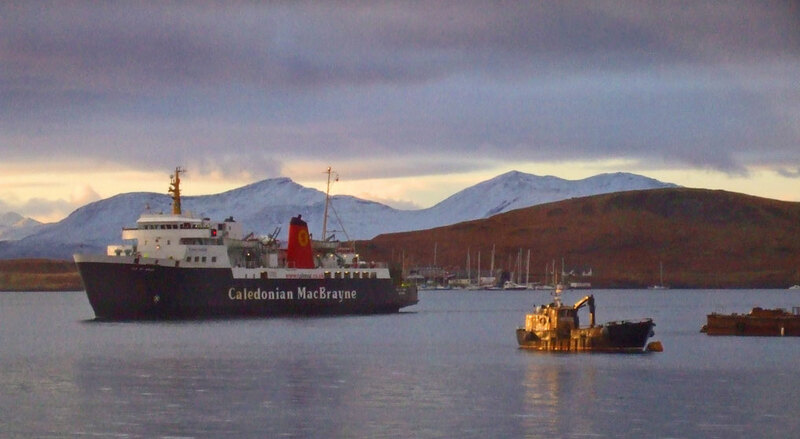 Ferry services run to the islands, mainly run by ‘CalMac’ – Caledonian MacBrayne. The main international airports are at Glasgow and Edinburgh, though there are several smaller international and regional airports too. And if you want to fly from England to Scotland, you can.